Even though you might dream of having straight teeth and a beautiful smile, you might not like the idea of traditional metal braces. Sure, you might know that they’ll do the trick in straightening out your smile, but you could be worried about your appearance in the meantime. After all, metal braces can really stand out, and many people don’t like the prospect of wearing them because they feel that they are too old for braces or because they have a public job. This is certainly understandable, but you shouldn’t let your dislike of traditional braces get in the way of achieving the smile that you’ve always wanted. Instead, you should consider scheduling an appointment with a local orthodontist so that you can find out more about your alternatives. These are some of the options that you can look into if you want to improve your smile without traditional metal braces. One popular option that you might have heard of is clear aligners, which are often known by the brand name of Invisalign ™. Basically, with this treatment option, you will not wear braces at all. Instead, you will work with your orthodontist to use aligners that will be swapped out approximately every two weeks. 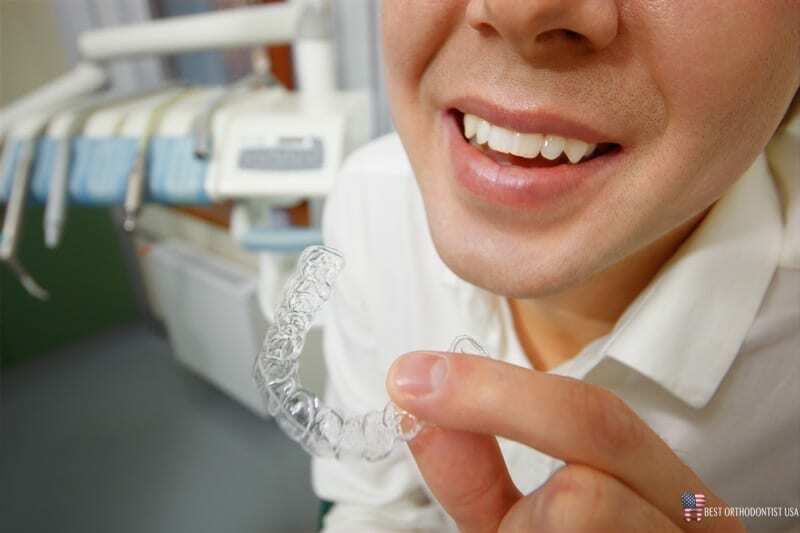 As you change aligners, each one will help to slowly straighten out your teeth. Unlike traditional metal braces, you do not have to worry about your aligners being very visible. They can be almost invisible, allowing you to feel confident about your appearance while you’re going through treatment. Cleaning is easy when you opt for aligners. Instead of having to worry about cleaning around brackets and bands, you can simply remove your aligners and clean both them and your teeth. This can make caring for them really easy. You can see surprising results very quickly if you work with the right orthodontist and if you use your aligners as you are supposed to. You can remove them when necessary, such as if you want to put a mouthguard in while playing sports or if you want to look your best for a photo. Just remember that if you take them out too frequently or for too long, however, it can hinder the process. This treatment option does require a lot of discipline. You can remove the aligners at any time, but you should wear them for 22 hours a day if you want to see results. It can be easy to be tempted to remove them when you shouldn’t, however. They are often more costly than traditional braces, although you may be able to find reasonable pricing with a good orthodontist near you. Not everyone is a candidate for this treatment; for more severe issues with your bite or the alignment of your teeth, you may need braces to get the results that you want. You may need to go in for more office visits, since your aligners will need to be changed out every couple of weeks. Some orthodontists will give you several weeks’ worth of aligners at once, however, to help prevent you from having to go to as many appointments. Clear braces are another good option that you can look into if you would like to avoid traditional metal braces. Basically, these types of braces are ceramic braces. They are not actually clear at all, but they are made in a color that matches your natural teeth as closely as possible. Other than that, they are quite similar to traditional braces. They can be a good choice for those who can’t use aligners because they have more serious issues with alignment that need to be addressed. When done by the right orthodontist, they can be almost impossible to see in average, day-to-day situations. You don’t need to go to as many appointments as you would have to go to with aligners. They can be more costly than traditional metal braces. They aren’t as easy to clean as aligners. If you aren’t careful about what you eat and drink, your ceramic braces could become stained. This can make them much more visible. If you follow your orthodontist’s advice, however, you can help prevent this from happening. One final choice that you can talk to your orthodontist about is lingual braces. 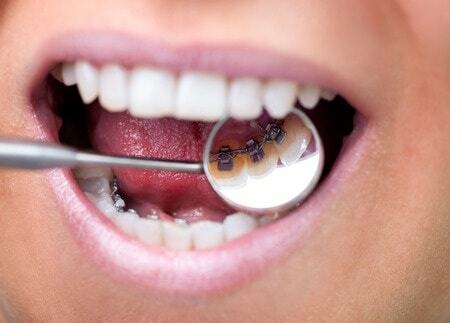 These are much like traditional metal braces, except they are worn on the back of your teeth. They are not visible in many situations. In fact, you may find that they are more “invisible” than aligners. They can work well if you need more serious orthodontic work done. They can be tricky to clean, since they are on the back of your teeth. Since braces can be tough enough to clean as it is, this is something that you will want to talk to your orthodontist about. Luckily, he or she should be able to give you advice about how to clean them properly. They can be hard to get used to. 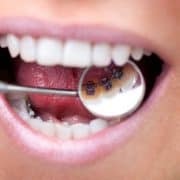 Having something on the back of your teeth can feel unnatural at first, and you may even cut your tongue or find that you speak with a bit of a lisp. With time, however, you should become better-adjusted to them. If you want to avoid braces or any type of orthodontic treatment completely, you can always look into your cosmetic dentistry options. For example, dental bonding can be used to gently shape your teeth to make them look better, or veneers can be placed on the front of your teeth to make them appear straighter. Cosmetic dentistry options can work out well for someone who is looking for very fast results, who does not want to undergo orthodontic treatment and who is only dealing with very minor smile-related issues. 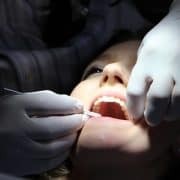 For someone who wants a permanent option or who has more than very minor issues with his or her smile, however, cosmetic dentistry is usually not recommended. In most situations, working with a good orthodontist can provide you with much better results, and some options work surprisingly quickly. 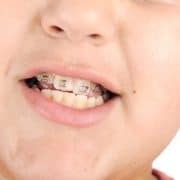 Plus, with the above-mentioned options, orthodontic work does not automatically mean that you will have to wear visible braces during treatment at all. As you can see, even if you don’t want to have to wear traditional metal braces on your teeth, you can still improve the look of your smile. In fact, you actually have a few different options for doing so. If you’d like to find out more, consider scheduling an appointment with a local orthodontist. Then, you can determine if any of these options will work out well for you and can get more information about moving forward with treatment. How Can Invisalign Help Straighten Teeth and Boost Self-Confidence Why is it Necessary to Visit Your Orthodontist Regularly?